Wouldn’t it be such a waste if you throw all your efforts at having an alkaline diet with one night out of eating at a fast food joint? Eating out is the single most counterproductive thing that can compromise your alkaline diet. Stopping yourself from eating out, obviously, is not an excellent option. It has become a part of our culture, essentially bonding groups—especially families—together. I’m not about to discourage you to stop eating out for the sake of your alkalizing altogether! There is, as a matter of fact, a way for you to eat out and enjoy great conversations (perhaps even a date with your romantic partner! 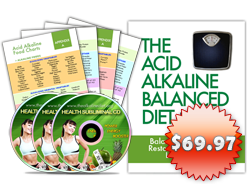 ), all while you are faithful to your alkaline diet. What makes eating out a problem? The problem with eating out is simple: you are practically gorging in acid forming foods, especially if you’re at your favorite fast food joint. The same goes for plenty of restaurants that you probably didn’t think should be included in your list of restaurants with mostly acidic foods. These acid forming foods range from the downright acidic to the toxic chemicals and preservatives (like oil!). You’ve been hearing a lot of undesirable reasons why you should avoid eating fast foods (remember this documentary and this report? ), but, really, what makes them so unhealthy? The menu of most fast food joints contain meals that are mostly, if not totally, acid forming. Just think about how much acids are packed in that burger patty, along with its buns. Or the deep fried chicken that have probably been frozen for too long. Remember, the longer a food is preserved, the less enzymes and the more stale they become. White flour foods are devoid in essential nutrients, have added harmful toxins, and will result in unhealthy conditions. Rapid weight gain and lethargy are only some of its ill effects. Worst of all, they’re also highly acidic. Unfortunately, restaurants have too much of white flour in their meals. You have to be critical in determining which meals contain too much white flour—from the breaded dishes to the white rice in your meal. You’ll find fried deep dishes in incredible amounts in Chinese restaurants. This involves prawns, sweet and sour pork, lemon chicken, and a lot of other breaded and deep fried dishes. Aside from being deep fried, these dishes are also marinated in white flour—which, as I just mentioned, is another highly acid forming food that you should avoid. Brown rice is a healthier alternative to white rice, as it contains the same health benefits minus the acidic effects. Unlike white rice, brown rice is very rich in fiber as its bran layer is not removed from the grain. With more fiber in your body, the acid toxins are flushed out and your body is better cleansed. This will, in the long run, prevent high blood pressure and sugar levels. Although brown rice is only slightly alkaline forming, it’s still a much better option than white rice in most restaurants. You can usually ask for brown rice in Chinese restaurants in replacement for the white rice. 5. Don’t forget the vegetables. Whatever restaurant you are in, whether it’s Japanese, Indian, British, Thai, or Western, the restaurant will surely have a vegetable dish or salad in their menu. Ask the waiter or the manager himself which one is the bestseller and try it out for yourself! Who knows, you may even get some amazing ideas that you can try out for yourself. 6. Raw food is highly alkalizing. If you’re eating out in a Japanese restaurant, then make it an excellent opportunity to alkalize. Dishes in Japanese restaurants are mostly alkalizing. These are also dishes that you usually won’t regularly find in your nearest grocery store and are slightly difficult to prepare. Some highly alkalizing foods in these restaurants are seaweed, vegetable dishes, tofu, sushi, and other raw foods. 7. Have a healthy fruit or vegetable beverage. For people who have no juicer at home, you should make it a point to order an alkalizing beverage such as a fruit or vegetable beverage—maybe even a combination of both. You can tell if a restaurant cares about the health of its customers if it has a comprehensive offering of alkalizing beverages. For the highly alkalizing ones, order organic organic orange, watermelon, orange, or strawberry juice/shake. After feasting on the healthy appetizer and hearty main dishes, you would usually finish your meal with your favorite desserts. You can cap your meal with an alkalizing dessert in the menu. Stay away from the acidic ones, as these will only give you an ill feeling afterward. There are more healthy fruit desserts than you think. In fact, some of them may already be your favorites. Have a lovely slice of apple or peach pie. You can also have a smoothie of your favorite alkalizing fruit. You should also watch out for naturally made ice cream. Yum! 9. Drink alcohol in moderation. I’m not totally against the idea of drinking wine or alcohol. In fact, there are plenty of studies that support the health benefits of drinking alcohol every now and then. You simply can’t help enjoying a few glasses with your friends or loved ones! 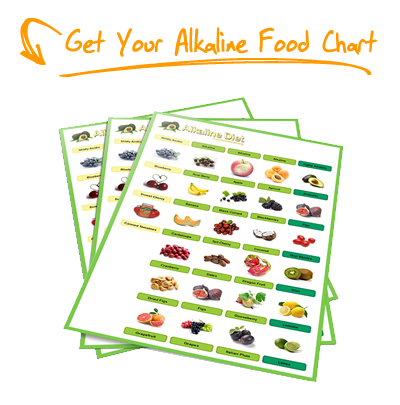 However, you should do this in moderation if you don’t want to ruin your alkaline diet. At the end of the day, these are still acid forming substances. 10. Don’t eat too much pizza or pasta. I know it’s hard not to take more than a few slices of that delicious and authentic Italian pizza. But if you’re really bent on eating pizza and pasta, you should opt for healthier variants. There are pizza and pasta varieties rich in vegetables. This will help in offsetting the acids contained in the white flour of the pizza bread and the pasta. So there you go: 10 dos and don’ts that you can personally follow when you’re about to invite someone to eat out. This list shows that you don’t need to be restricted about your food options. 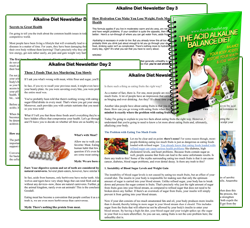 Just eat acid forming dishes in moderation and have a good serving of alkalizing foods. 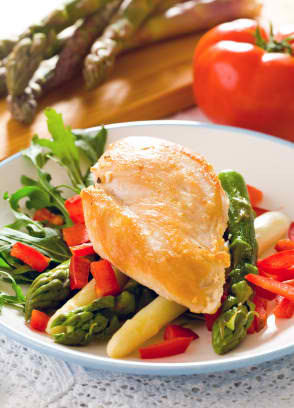 Nothing beats cooking alkaline dishes for your loved ones, but there’s nothing wrong with eating out once in a while! I would like to add one more thing. Make sure you have something to make your water alkaline. I will take a pill bottle with my green drink or I will ask for a full lemon at the restaurant to squeeze in the water.